On, Tuesday, May 9, 2017 Johnay Brown was mauled by multiple pit bulls. 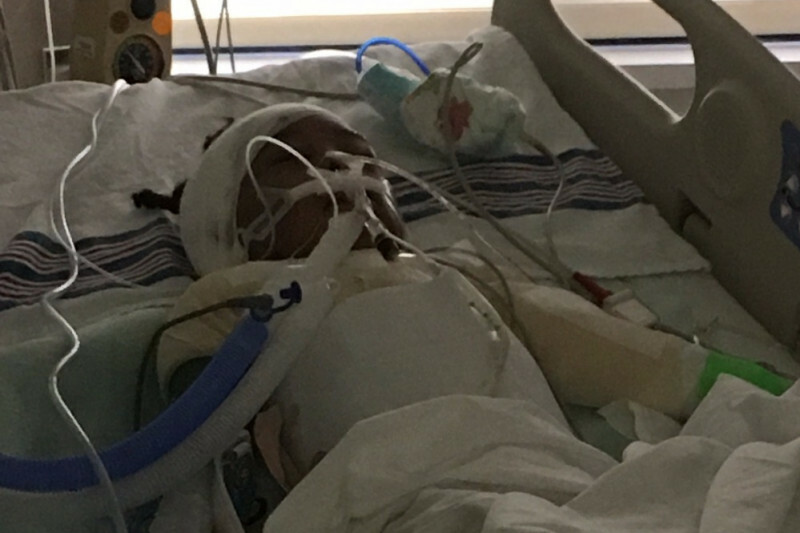 Johnay has been in critical condition since the attack . She has undergone 5 surgeries in a one week time frame due to injuries to her intestines head and back. Johnay have a long road to recovery including plastic surgery. Doctors recommends she stay sedated to help with her healing process. Mom, Latoya Benson, single mother parent,has not left Johnay side. She is employed but, currently, not able to attend work due to the serious nature of Johnay's health.We neep your help for Johnay's medical expenses and to financially help mom to maintain while she off work now,and expected to be off for another 9 months at the minimum.These funds will not heal her or ever make what has happened to 5 year old Johnay go away but, simply give her parents a peace of mind while recovering. This is an urgent sitaution that requires immediate help. The money goal has been set at a very low amount compared to what it take to get Johnay all the way well, even after 3 months in the hospital, she will still need therapy which will continue to be a cost for mom. Mom, Latoya Benson will be responsible for all health care cost. Mom will need to pay her rent and all other bills so that Johnay will still have a place to call home. If, you can not help monetarily you can also donate food and clothes. Johnay will be on a feeding tube and not able to move so her weight has decreased.